Arsenal Coach Arsene Wenger has confirmed that Goalkeeper Wojciech Szczesny would not be joining the team for the rest of preseason as he "might'' be joining Italian club Roma on loan. The Italian club has been linked to a number of custodians over the summer, as veteran and current number one Morgan De Sanctis will likely be used as cover throughout the new season . Arsenal brought in veteran Goalkeeper Petr Cech from Chelsea early in the transfer window, with speculation rift that he will man the post for the team in the new season. Having brought in Colombian International David Ospina last summer from Nice, Arsenal are left with an embarrassing wealth of talent in the goalkeeping department and keeping all the goaltenders happy would be an uphill task. With the chance of first team football beckoning in Italy, Szczesny who has never hidden his disappointment at been relegated to the bench would have an opportunity to prove his mettle again. 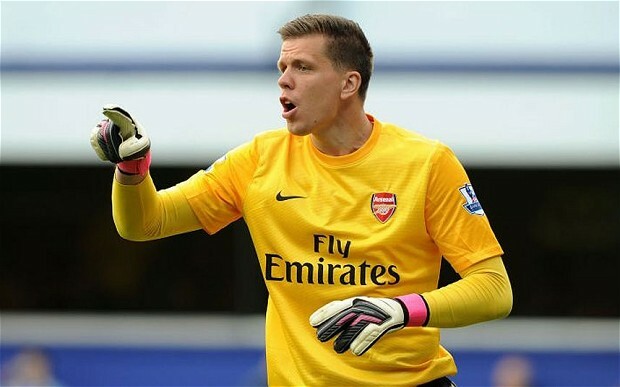 Il Tempo is already reporting that sporting director Walter Sabatini has reached an agreement with Arsenal and that Szczesny will sign for the Giallorossi on a one year loan basis. The story also states that Arsenal will continue to pay a large chunk of the Poland international’s wages, rumoured to be around €3 million per season. Roma remain hopeful that their own Polish keeper, Lukasz Skorupski, will become their eventual long term solution, but are looking for an established short-term fix before permanently handing the gloves to the 24-year-old.